For coffee lovers, the best part of waking up is with a steaming cup of coffee in their hands. As a coffee enthusiast, you probably already know that the way in which you brew your coffee has an effect on how it taste. Different coffee brewing methods will produce a different coffee taste. With countless ways to brew coffee, it got us thinking. Which brewing method makes the best cup? In the hopes of helping our readers make sensational cups of coffee at home, we tried out the different coffee making methods. 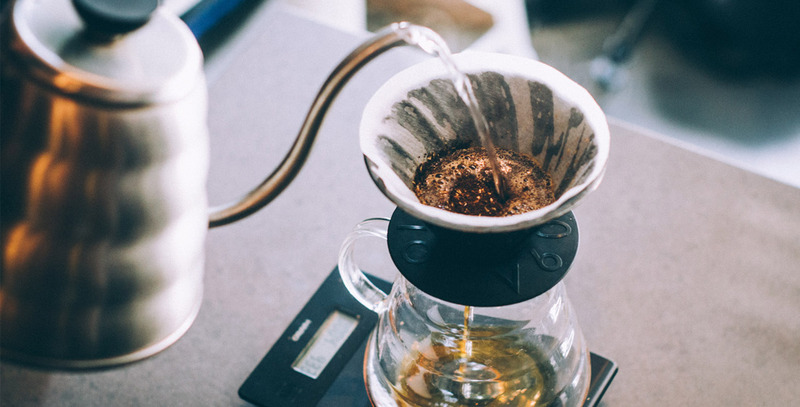 This blog post will walk you through 6 of the most popular ways to brew coffee. Here, we’ll provide you with the information you need to help you choose the best one for you. However, we encourage you to try each and every one of them to help you find your go-to brewing method. Try to experiment with each of these methods and tweak it for yourself. How do you know what you’re missing if you haven’t tried them all? Aeropress method is known for its versatility. It is one of the most used ways to brew coffee. With this method, you can brew a strong cup of coffee with bite to the mildest cup of hot brewed coffee. Believe it or not, there is an Aeropress recipe for every style of coffee you can imagine. This coffee preparation method uses a combination of heat and air pressure to extract flavor from the beans. The end result is a strong, full-bodied coffee – something that resembles an espresso. This particular method is best if you don’t have a scale or when you’re out in the field. Single-serve brew is one of the most used coffee preparation methods in the country. This is the ultimate solution for bleary-eyed students, busy professionals who are always on the go or those of us who live alone. With this method, you’ll only be preparing coffee enough for one serving. This makes the preparation process faster. In fact, you’ll have a steaming cup of coffee in just a few minutes. It also eliminates wastage. 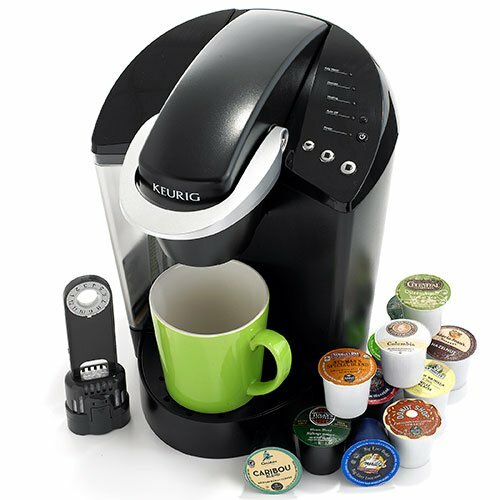 Single-serve coffee machines like the Keurig provides a convenient way to make coffee. This allows you to enjoy a fresh cup of coffee with the flavor and aroma you want with minimum effort. This list won’t be complete without mentioning cold brew. This is the go-to option for those who want a nutty and sweet coffee flavor. Cold brew is 67% less acidic than hot-brewed. It takes away some of the acid that is naturally found in coffee beans. As such, it is ideal for those who love the flavor of coffee, but are suffering from acid reflux or heartburn. Brewing cold brew coffee is quite simple. However, it can be time consuming. Cold brew coffee is made from steeping coffee grinds in cold water for several hours. Since they are usually consumed with ice, most people mistake it for iced coffee. But they are two entirely different things. Cold brew calls for a higher coffee-to-water ratio. This creates a coffee concentrate that is later on diluted with milk or water. The end result is a crisper, sweeter cup of coffee than most of us are used to. This trendy beverage is a big hit among today’s coffee connoisseurs. The temperatures may be dropping, but don’t expect millennials to put down their cold brew anytime soon. This coffee brewing method is ideal for those who want a pure, rich coffee flavor. Since it allows oils from the coffee beans to mix with water, it produces a beverage that contains strong flavor. French press used to be one of the most common ways to make coffee at home. Because it is simple and inexpensive, it is slowly regaining the once lost popularity. In fact, it is gaining more and more popularity with coffee drinkers from across the globe. The flavor and aroma of French press coffee is intense. It has a medium body, more dense than drip but less than espresso. This coffee preparing technique is very simple. It involves pouring hot water over coffee grounds. Steep the coffee between 3 to 5 minutes and then press the grounds out. This yields a stronger cup of coffee in terms of flavor and caffeine content. 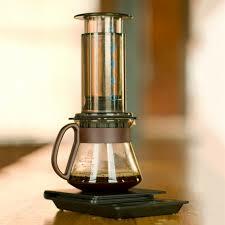 Drip coffee is also referred to as filter coffee. This is one of the most popular ways to brew coffee in United States. This brewing method involves pouring hot water over coffee grounds. Drip coffee has higher a caffeine content at about 145 mg per cup. This is because the beans are in contact with the water for longer periods of time. Plus, the filter prevents an oily compound found in coffee beans from passing through. That means, the coffee you consume will have less fatty acids, which may contribute to raising your LDL cholesterol levels. Espresso is a concentrated coffee with a lot of flavor, aroma, and body. It is prepared by pushing hot water through a layer of compacted ground coffee through a filter. Making the perfect espresso at home can be difficult. But with the right equipment and good quality coffee beans, you’ll be able to produce coffee shop-quality beverages from the comfort of your home. If you don’t have the skills to make great tasting java, we suggest that you invest in a super automatic espresso machine. It may be expensive, but it is worth the investment. With this machine, you can make the perfect cup of coffee with just a push of a button. 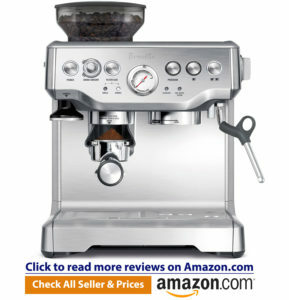 Plus, it allows you to make a wide variety of coffee, from lattes to cappuccinos to frappes. Having an espresso machine, you can play barista at home. You’ll have enough reason to invite your friends over to your home for coffee. There are several ways to brew coffee. Every single one of these brewing methods will produce a different coffee taste. No matter which brewing method you use, there are certain rules to follow to ensure that you make a tastier, fresher cup of java. Make sure that you invest in good quality coffee and store them properly. Grind the coffee beans just a few minutes before brewing. Ultimately, clean your coffee maker regularly. All these can make a huge difference on your coffee.